Every year there's always a few titles that are in high demand. As the Canadian International Liasion I wanted to highlight some of this years highly anticipated reads from Canadian authors. 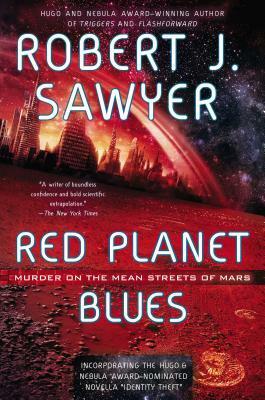 I'm not sure if all the books in this post will be at BEA but they''re all highly anticipated reads and definitely must have additions to your TBR pile. The last thing Mason Starling remembers is the train crossing a bridge. An explosion . . . a blinding light . . . then darkness. Now she is alone, stranded in Asgard—the realm of Norse legend—and the only way for her to get home is to find the Spear of Odin, a powerful relic left behind by vanished gods. The Fennrys Wolf knows all about Asgard. He was once trapped there. And he’ll do whatever it takes to find the girl who’s stolen his heart and bring her back—even if it means a treacherous descent into the Underworld. But time is running out, and Fenn knows something Mason doesn’t: If she takes up the Spear, she’ll set in motion a terrible prophecy. And she won’t just return to her world . . . she’ll destroy it. On the heels of a family tragedy, the last thing Katie Greene wants to do is move halfway across the world. Stuck with her aunt in Shizuoka, Japan, Katie feels lost. Alone. She doesn’t know the language, she can barely hold a pair of chopsticks, and she can’t seem to get the hang of taking her shoes off whenever she enters a building. Then there’s gorgeous but aloof Tomohiro, star of the school’s kendo team. How did he really get the scar on his arm? Katie isn’t prepared for the answer. But when she sees the things he draws start moving, there’s no denying the truth: Tomo has a connection to the ancient gods of Japan, and being near Katie is causing his abilities to spiral out of control. If the wrong people notice, they'll both be targets. Katie never wanted to move to Japan—now she may not make it out of the country alive. 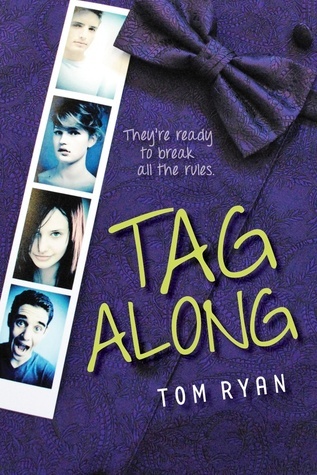 Fifteen-year-old Raim lives in a world where you tie a knot for every promise that you make. Break that promise and you are scarred for life, and cast out into the desert. Raim has worn a simple knot around his wrist for as long as he can remember. No one knows where it came from, and which promise of his it symbolises, but he barely thinks about it at all—not since becoming the most promising young fighter ever to train for the elite Yun guard. But on the most important day of his life, when he binds his life to his best friend (and future king) Khareh, the string bursts into flames and sears a dark mark into his skin. 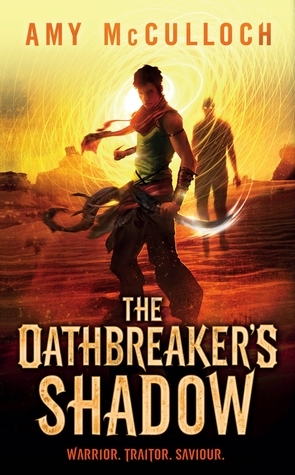 Scarred now as an oath-breaker, Raim has two options: run, or be killed. 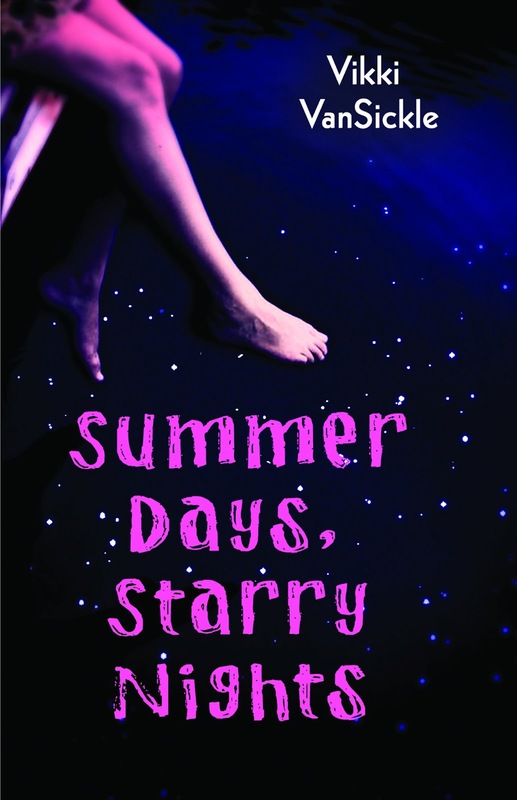 It's 1962, and thirteen-year-old Reenie Starr comes alive the minute guests begin to arrive at her family's summer resort. She dreams of the day she can run Sandy Shores, and she spends her time helping out at the resort, swimming, climbing trees, and singing under the stars. One day, Reenie's mother announces that she thinks the resort could use some entertainment. She invites Gwen, her best friend's almost-grown daughter, to come and teach a dance class. Although Gwen seems sad and remote, Reenie's thrilled to have her there. As Reenie starts to learn more about the world beyond Sandy Shores, she comes up with a plan that could really put it on the map. She also finds herself caught between the simpler world of her childhood and all of the wonderful new discoveries (boys) and heartaches (boys) that growing up can bring. Reenie thought she wanted Sandy Shores to never change, but after this summer nothing will ever be the same again. It's junior prom night. Andrea is grounded for getting her older brother to buy booze for her, Paul is having panic attacks, Roemi has been stood up by his Internet date, and Candace is busy tagging a building (before she gets collared by a particularly tenacious cop). By happenstance, the four near-strangers end up together, getting into more trouble, arguing and ultimately helping each other out over the course of eight madcap hours. Mac can’t lose another friend. Even if he doesn’t want to be found. The ripple effect caused by Mac’s best friend Amy’s murder has driven Mac’s new love, Kyle, to leave Hemlock and disappear from her life forever. But Mac knows that Kyle plans to enroll in a rehabilitation camp, where he can live with other werewolves. She refuses to accept his decision, especially since the camps are rumored to be tortuous. So she sets out in search of Kyle with a barely sober Jason—and Amy’s all-seeing ghost—in tow. Clues lead Mac to find Kyle in a werewolf den in Colorado—but their reunion is cut short by a Tracker raid. Now Mac and Kyle are trapped inside the electric fences of Thornhill, a camp for young werewolves. 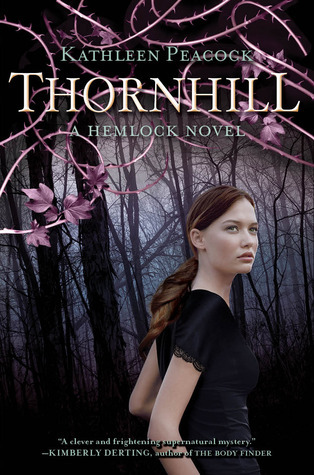 As she devises an escape plan, Mac uncovers dangerous secrets buried within the walls of Thornhill—and realizes that the risk to the people she loves is greater than ever before. Nicola Marter was born with a gift. When she touches an object, she sometimes sees images; glimpses of those who have owned it before. It’s never been a gift she wants, and she keeps it a secret from most people, including her practical boss Sebastian, one of London’s premier dealers in Russian art. But when a woman offers Sebastian a small wooden carving for sale, claiming it belonged to Russia’s Empress Catherine, it’s a problem. There’s no proof. Sebastian believes that the plain carving—known as “The Firebird”—is worthless. But Nicola’s held it, and she knows the woman is telling the truth, and is in desperate need of the money the sale of the heirloom could bring. Compelled to help, Nicola turns to a man she once left, and still loves: Rob McMorran, whose own psychic gifts are far greater than hers. With Rob to help her “see” the past, she follows a young girl named Anna from Scotland to Belgium and on into Russia. There, in St. Petersburg—the once-glittering capital of Peter the Great’s Russia—Nicola and Rob unearth a tale of love and sacrifice, of courage and redemption…an old story that seems personal and small, perhaps, against the greater backdrops of the Jacobite and Russian courts, but one that will forever change their lives. Months after the Waterless Flood pandemic has wiped out most of humanity, Toby and Ren have rescued their friend Amanda from the vicious Painballers. They return to the MaddAddamite cob house, which is being fortified against man and giant Pigoon alike. Accompanying them are the Crakers, the gentle, quasi-human species engineered by the brilliant but deceased Crake. While their reluctant prophet, Jimmy -- Crake's one-time friend -- recovers from a debilitating fever, it's left to Toby to narrate the Craker theology, with Crake as Creator. She must also deal with cultural misunderstandings, terrible coffee, and her jealousy over her lover, Zeb. Meanwhile, Zeb searches for Adam One, founder of the God's Gardeners, the pacifist green religion from which Zeb broke years ago to lead the MaddAddamites in active resistance against the destructive CorpSeCorps. Now, under threat of an imminent Painballer attack, the MaddAddamites must fight back with the aid of their newfound allies, some of whom have four trotters. At the centre, is the extraordinary story of Zeb's past, which involves a lost brother, a hidden murder, a bear, and a bizarre act of revenge. Twenty-four-year-old Olivia Taylor Jones has the perfect life. 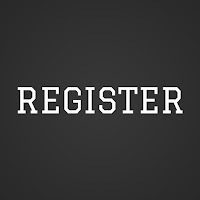 The only daughter of a wealthy, prominent Chicago family, she has an Ivy League education, pursues volunteerism and philanthropy, and is engaged to a handsome young tech firm CEO with political ambitions. But Olivia’s world is shattered when she learns that she’s adopted. Her real parents? Todd and Pamela Larsen, notorious serial killers serving a life sentence. When the news brings a maelstrom of unwanted publicity to her adopted family and fiancé, Olivia decides to find out the truth about the Larsens. Olivia ends up in the small town of Cainsville, Illinois, an old and cloistered community that takes a particular interest in both Olivia and her efforts to uncover her birth parents’ past. Aided by her mother’s former lawyer, Gabriel Walsh, Olivia focuses on the Larsens’ last crime, the one her birth mother swears will prove their innocence. 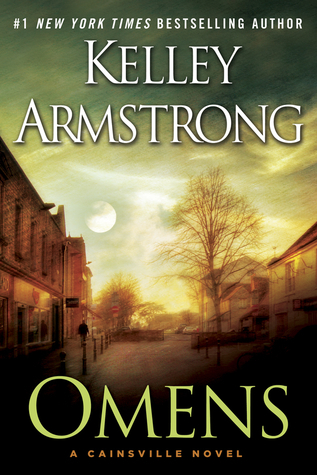 But as she and Gabriel start investigating the case, Olivia finds herself drawing on abilities that have remained hidden since her childhood, gifts that make her both a valuable addition to Cainsville and deeply vulnerable to unknown enemies. Because there are darker secrets behind her new home, and powers lurking in the shadows that have their own plans for her. A visceral portrait of life at a crossroads, The Orenda opens with a brutal massacre and the kidnapping of the young Iroquois Snow Falls, a spirited girl with a special gift. Her captor, Bird, is an elder and one of the Huron Nation’s great warriors and statesmen. It has been years since the murder of his family and yet they are never far from his mind. In Snow Falls, Bird recognizes the ghost of his lost daughter and sees the girl possesses powerful magic that will be useful to him on the troubled road ahead. Bird’s people have battled the Iroquois for as long as he can remember, but both tribes now face a new, more dangerous threat from afar. Christophe, a charismatic Jesuit missionary, has found his calling amongst the Huron and devotes himself to learning and understanding their customs and language in order to lead them to Christ. An emissary from distant lands, he brings much more than his faith to the new world. Worst. Person. Ever. 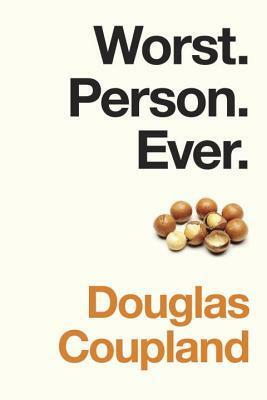 is a deeply unworthy book about a dreadful human being with absolutely no redeeming social value. Raymond Gunt, in the words of the author, "is a living, walking, talking, hot steaming pile of pure id." He's a B-unit cameraman who enters an amusing downward failure spiral that takes him from London to Los Angeles and then on to an obscure island in the Pacific where a major American TV network is shooting a Survivor-style reality show. Along the way, Gunt suffers multiple comas and unjust imprisonment, is forced to reenact the "Angry Dance" from the movie Billy Elliot and finds himself at the centre of a nuclear war. We also meet Raymond's upwardly failing sidekick, Neal, as well as Raymond's ex-wife, Fiona, herself "an atomic bomb of pain." Are any of these books on your to read list? Did you know all these authors were Canadian? Are there any you think I forgot? I love Canadian fiction! Hadn't heard of Firebird but it sounds really interesting, and I didn't realize Joseph Boyden had a new book coming out! 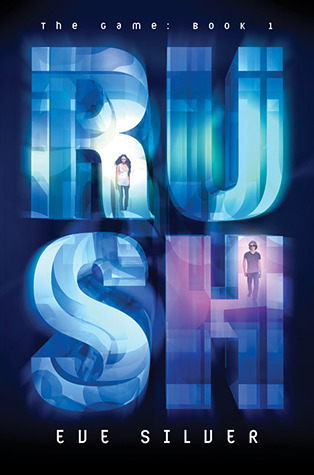 I've been dying to read RUSH! I've heard so many good things about it. Thanks for highlighting Canadian fiction! 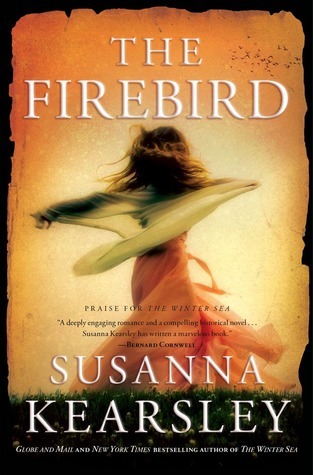 I'm currently reading Firebird and I've read VanSickle's middle-grade trilogy. Looking forward to her new one. Happy Day Three of Armchair Bea! 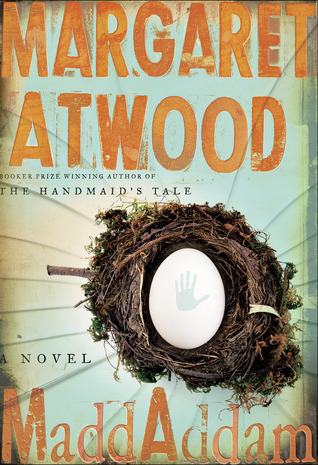 I didn't realize a 3rd book in the MaddAddam series was releasing this year, nice! I'm really looking forward to Rush as well. I am Proud to be Canadian! I knew Lesley Livingston was Canadian but had absolutely NO Idea about the others! Thanks for the highlight! Thanks for highlighting Canadian fiction. It's so nice to be included. There's some great selections for me to add to Mt. TBR. 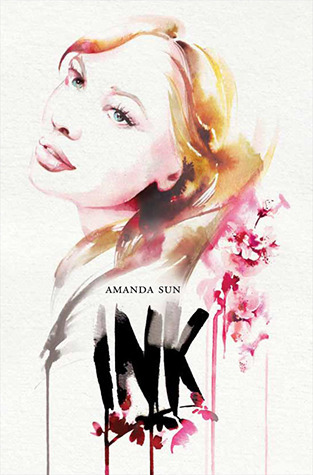 I'm really excited to get my hands on Ink by Amanada Sun and Rush by Eve Silver. The covers are absolutely gorgeous. And Margaret Atwood! I had no idea she had a new book coming out! Canadian fiction is just as great as the US fiction! 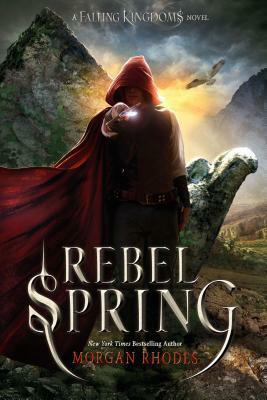 But I'm extremely excited to read Rebel Spring! Falling Kingdoms was AMAZING. Yeah, there is a few I want to read there.... but you forgot Chevy Stevens and her new book in June, Always Watching. I've read it and it was fab! I've read Ink by Amanda Sun and I really can't wait to own a physical finished copy. I had no clue some of these authors were Canadian and a few of these are new to me. Thanks for the highlight post! I had the pleasure of meeting Eve Silver recently - what a wonderful woman. Can't wait to read Rush, but I have added quite a few books from this fabulous list. Thanks for sharing! I didn't know that Morgan Rhodes (Michelle Rowen ) was Canadian. Lots of great Canadian new releases not listed..
Yeah ! Long live paper books !!! It's too funny that this list went up today because I'm working on a post all about Canadian literary fiction! 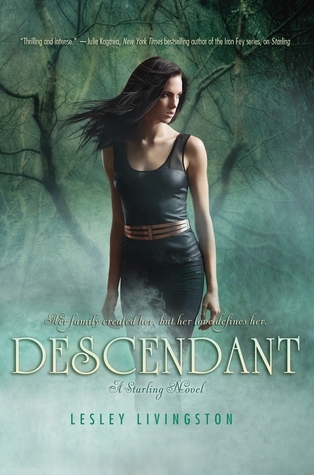 OH, I really want Descendant by Lesley Livingston!! I love all her books! I will be adding some if these books to my TBR pile, like INK for sure!